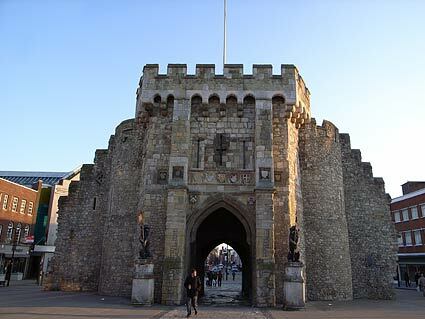 Although Southampton was ruthlessly bombed during the last war, some ancient relics survived, including the famous Bargate, which once served as the main gateway to the city at the northern end. 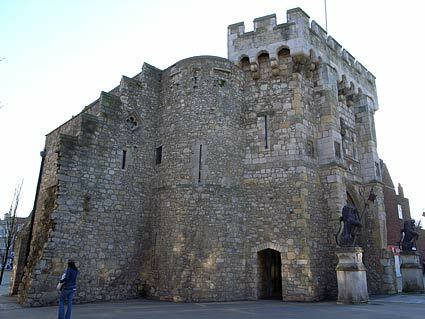 Southampton still retains England's second-longest stretch of surviving Medieval wall (the longest is in York). 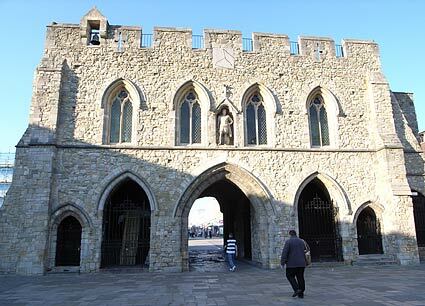 The two lead lions in front of the Bargate are said to protect the city and the original Norman arch dates back to about 1175, with the tower being added a century later. 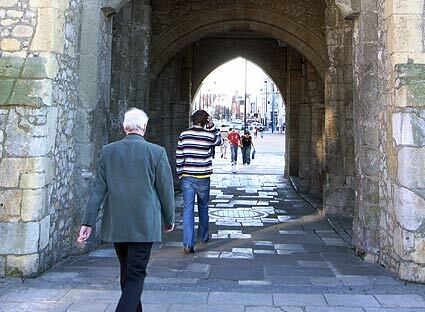 You can walk straight through the remains of the Bargate, although up to the 1930s, you could be whisked through under the arches in trams with specially designed dome-shaped tops to fit the narrow space. A view from the south side. The gate was once the site of town council meetings, the local court, and road toll collectors. Curious sign by the Bargate. Another view of the Bargate. 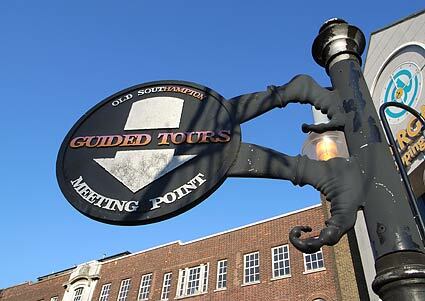 Originally built to guard the main road into Southampton, the building went on to serve as toll-gate, prison, guildhall and museum. 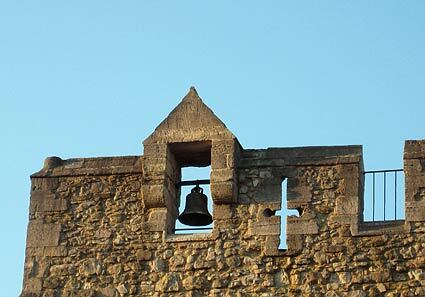 Detail from Bargate showing bell. 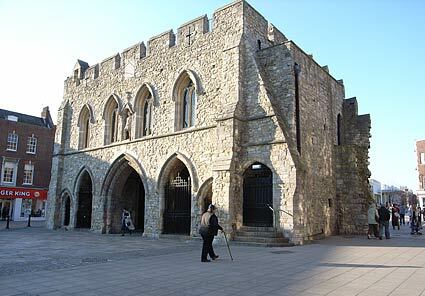 Another view of the Bargate, which has been famous landmark in Southampton for over 800 years. 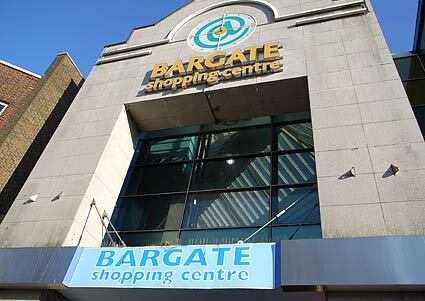 Bargate shopping centre, stuck right next to the ancient gate. Nice one, planners! The grim architecture at the back of the Bargate. Wah-hey! 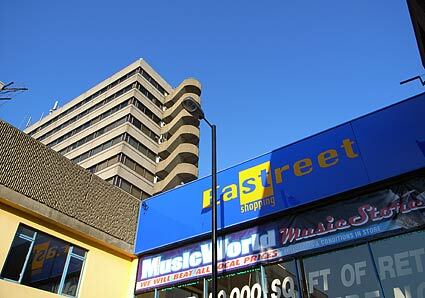 Yet another shopping centre! 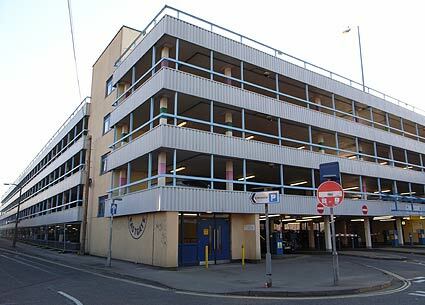 The majesty of the Eastgate multi-storey car park. "Shut down thank god, rough chav hole." 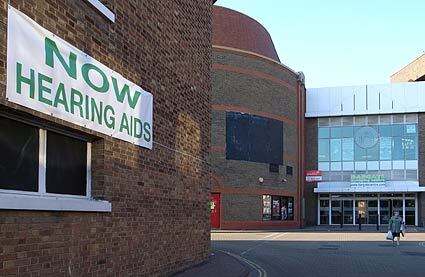 "Possibly the worst bar in Southampton. Including Icon and Diva. If it really is shut now take that as proof that there is a God." 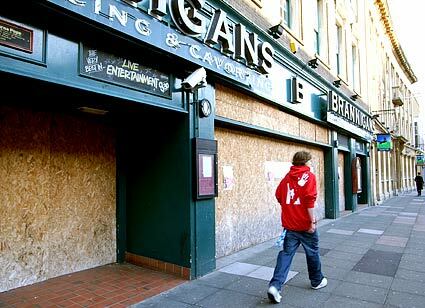 "Closed now so the Townies have to find somewhere else to fight"
Cameras: RicohGR, Canon Ixus 850.